Arron forgot his lyrics in japan!! Taiwan boy band Fahrenheit is popular throughout Asia, every member has different developments, firstly is Wu Zun filming dramas and accepting ads, Arron also quickly catch up, recently going to Japan to hold his first fans gathering. However, as he was too nervous, when he was singing Fahrenheit’s “Xia Xue”, other then his own part, he actually forgot the lyrics, luckily those fans who came for him did not mind, it was only him who felt embarrassed. Although his trip to Old House was only for a short 3 days, but when he attended Japan’s Central Television LIVE Interview, he had attracted many fans to gather outside, breaking the record of the number of fans a waiting outside of all other celebrities other than those in “Johnny Company”. It was no wonder than the 600 tickets to the gathering were sold out in less than 20 minutes. true...not to mention he was alone and was singing the others part wich he wasnt responsible for. If i was there, i totally won't mind too! So it's not a very big deal at all! So true! Those fans are great! I wish all fans were like them! I totally salute you guys!!! And were lucky to have such cute and nice idols like them!! 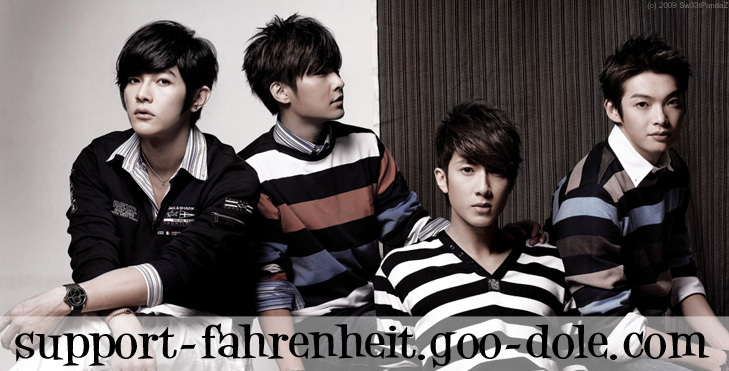 Like fahrenheit and arron's fans! I actually went to a singer's concert, and i noticed, he kinda couldnt reach the high tones much and his voice sometines cracked. But it's okay, his fans still gave amazing support! Including me!!! Subject: Re: Arron forgot his lyrics in japan! !